Everypony is gay for him. No exceptions. 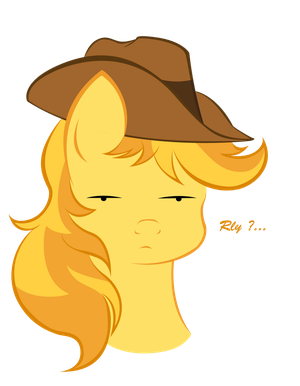 @scribble so are you for Braeburn being a straightshooter, or otherwise? @scribble I can't even remember the last time I looked at the main page of wikipedia. http://fav.me/d5afj9s I feel like a 5-year old. This what I've been doing. @purplephish20 One letter away from @ceruleanspark's dream. @greydragon412 It's like cute, or adorable, or many other variants. Basically anything that makes you d'aww. But it's not as limited as those other words. 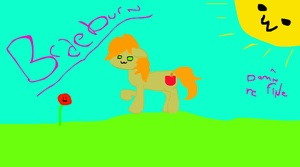 Scribble Braeburn , monsutaa kaado! @silverfeather Out of the mane six, I'd agree. 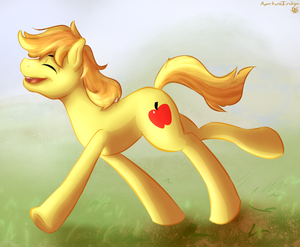 Though !Braeburn is best. @ceruleanspark I gave G1 and G2 a try and I honestly didn't like it. I do have some positive things I could say about the G1 primme time specials but even those are very small by the pain the terrible voice acting does. @silverfeather Nah, it really is just bad voice acting. Very bad recording quality (the songs had a decent quality though) which even managed to be worse as He Man. G2 did the voice acting allright but I didn't like the stories of G2. @cavatina *hugs* I will get it done. Soon. @cavatina I dunno. Being able to fill in the details your own way is kinda nice. Unless it's really good, I'll stick with the status quo on this one. @nerthos I wish I was you... ... not really. @greydragon412 Twilight/Fluttershy are best mane six ponies, in my eyes. 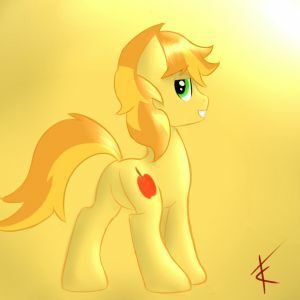 Nopony can top !Braeburn, though. @pony I believe I'm a better example of an "opinionated" person than @greydragon412 is. He seems to be pretty decent in his way of thinking, in general. That wierd guy next door, Scribble, - and not a clever pony repeated this. 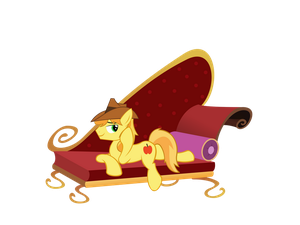 @noirbatch BRAEBURN what in tarnation 0__0.. *braeburn and you sitting there* *back to applejack* * braeburn and you with shirt off* < LUlZ!!!! Jude $Dashie$ Swan likes this. List of things that RDN likes: Butts. Ponies. Pony butts. 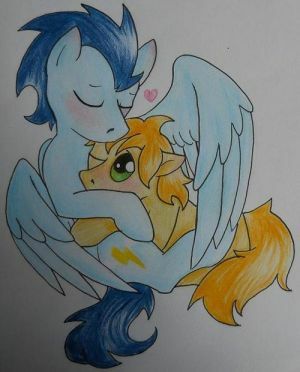 And !mintisflank. @greydragon412 !Braeburn apples are best apples. @greydragon412 i cant really see the differece. i call them all "apples"
@mrconventrix The power of braeburn is great.